Denver is booming. All of Colorado is experiencing a population influx and increasing business sector never before seen in the state, and Denver is leading the way with massive growth across several sectors and industries. What does Denver’s population spike have to do with leasing office space in DTC and downtown Denver? Accompanying the young professionals and families moving to Denver are companies and office jobs, which in turn, lead to greater need for commercial space in and around the city. The higher number of businesses and commercial tenants in downtown Denver is driving up supply and demand for industrial and warehouse space, retail space, and office leases in the city and surrounding suburbs. Sale trends indicate that the acquisition cost of office space will see a 4.8% increase in the median next year. With central Denver’s price per square foot already over $200, there is both need to find a competitive lease now and incentive for property owners and landlords to secure these new businesses as tenants. Throughout last year a huge amount of commercial office space, industrial space, and multi-family commercial property was delivered into the Denver market. Several high-profile office buildings were announced, constructed, and completed. An estimated 4.5 million square feet of office space was under construction within Denver’s city limits. Over half of this property was pre-leased. The massive increase in leasable office space in DTC is setting records for price per square foot, both in terms of construction and possible rent, but it’s also diversifying the market and providing tenants with new options. New office properties highlight some of the nation’s top trends for office space, and in Denver, these amenities and design elements come at a cheaper lease price than in bigger cities. Looking for outdoor space, a fitness center, or on-site parking to offer your employees? Now is the time to sign a Denver commercial property lease. 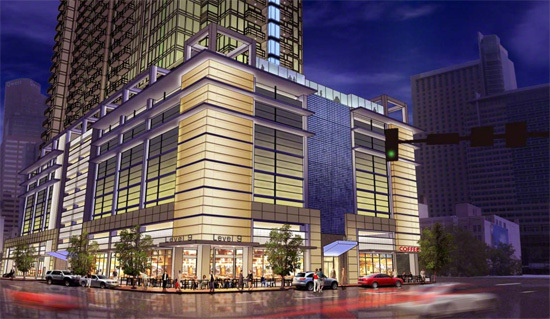 The excitement around Denver’s commercial property is invigorating. Those involved in the real estate market are enthusiastic and optimistic about Denver’s future, but for individuals and businesses unfamiliar with commercial leasing and sales, finding the right building or office space can be difficult. As well, landlords are finding themselves in a brand new commercial real estate market, and need direction on navigating a more crowded space. As one of Denver’s boutique real estate brokerages, Denver Commercial Properties can assist in the process of finding the perfect property, negotiating a favorable lease, and securing your office space. 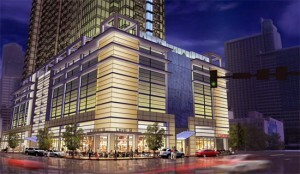 We also assist landlords in drafting proposals, vetting tenants, and managing office space in downtown Denver and DTC. At Denver Commercial Properties, our initial role in any office lease or lease for retail space is facilitating the exchange of proposals from the landlord to potential tenant. We ensure landlords draft competitive and creative proposals that fit a tenant’s wish list, and on the other side, can assist tenants in their evaluation and comparison of several spaces. Our team is involved in the entire lease negotiation, and we even sit at the table with our client as they execute the lease. For three generations, our boutique firm has handled communication with legal counsel, lenders, and between parties to the lease. Denver Commercial Properties has both landlords and tenants as commercial property clients, and our role can differ greatly depending on who we represent. However, one thing never changes – our team does its best to help you avoid the common pitfalls and mistakes of leasing office space. Our real estate brokers prevent mistakes in pricing, timing and method of rental payments, length of the lease, responsibility for maintenance and improvements, tenant improvement allowance, handling of the security deposit, and other common leasing mistakes. When it comes to an office lease in downtown Denver, we ensure our leasing clients carry the least amount of risk possible and enter into fair, effective tenancy agreements. To find out more about our office leasing, retail leasing, or commercial land sale experience, contact our real estate brokerage in Denver by calling 303-907-6200.